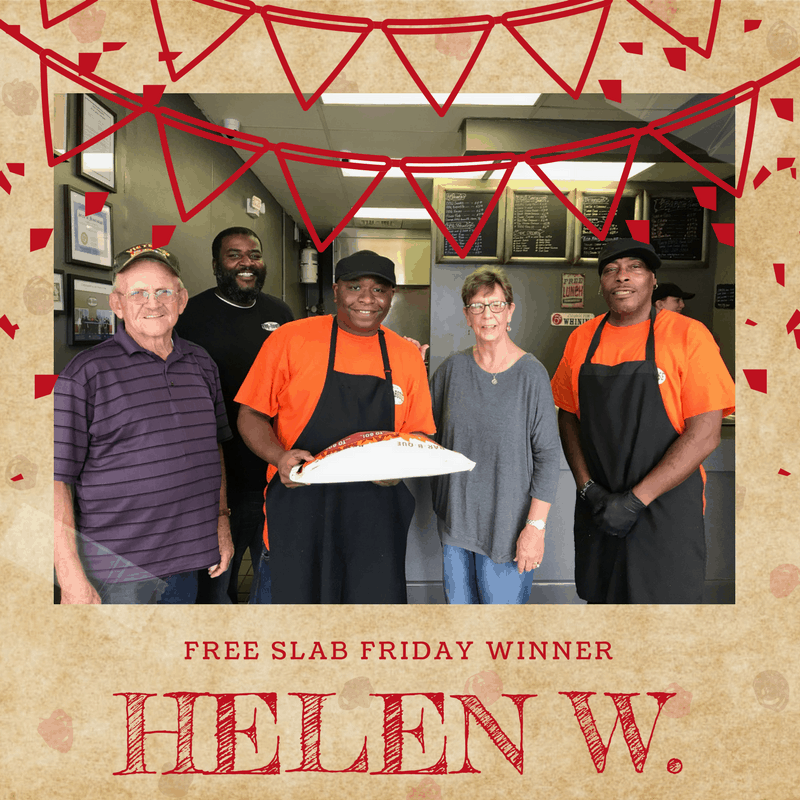 Free Slab Friday Winner – Felicia L.
Join us in congratulating Felicia L., the winner of this weeks Free Slab Friday Contest! 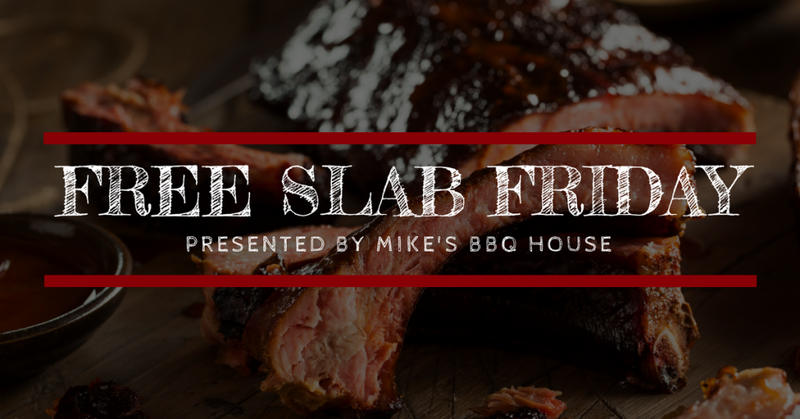 For the month of October Mike’s BBQ House will be hosting “Free Slab Friday”! 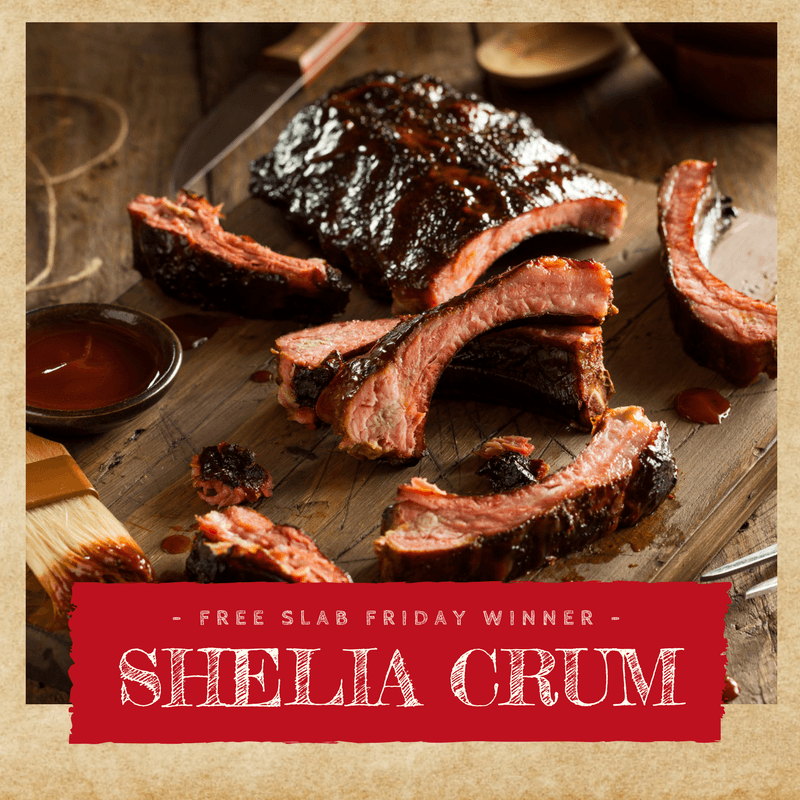 Participants can enter daily to win a Slab of our Signature Ribs. Winners will be announced via Facebook, Instagram, and on our website each Thursday. The prize must be redeemed by the winner or their representative on Friday at 5442 Cliff Gookin Blvd Tupelo, Mississippi. 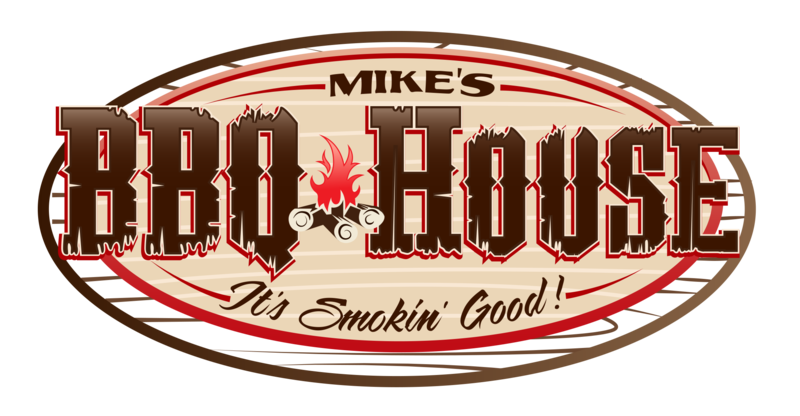 Winners can get in touch with us via social media, by calling us at (662) 269-3303 or emailing tkeys@mikesbbqhouse.com. Remember you can enter to win daily! 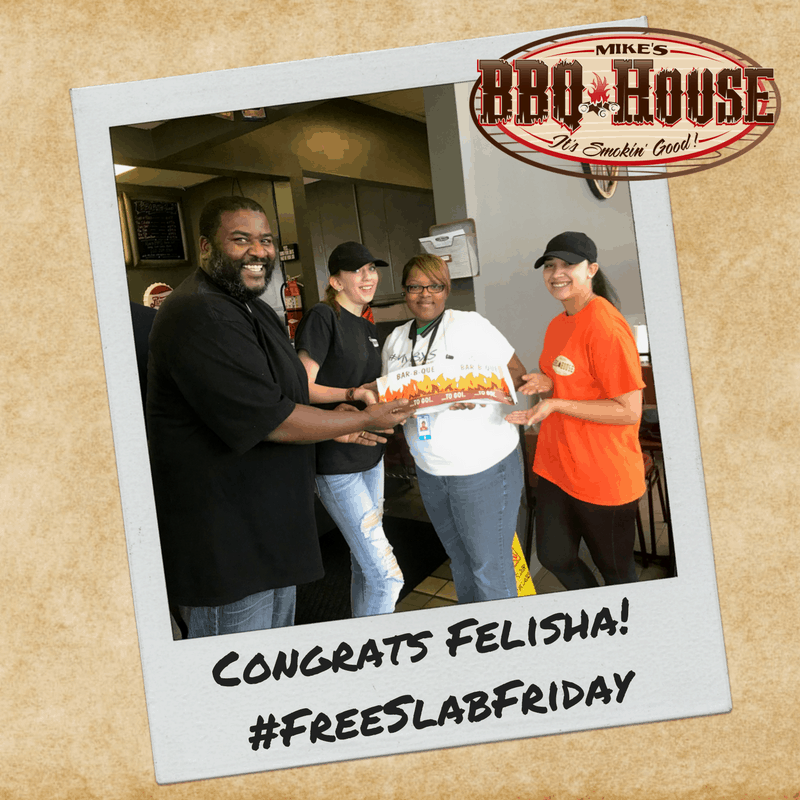 Free Slab Friday by Mike’s BBQ House!